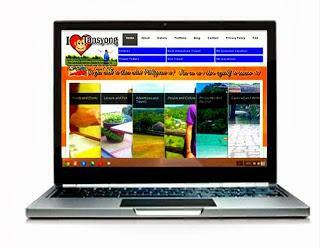 “I Love Tansyong” : With Its Own Domain Name. From a free blog host with subdomain http://ilovetansyong.blogspot.com , I started to supersede the world of no boundaries, limitless space for writing, and I can bring you the story from capturing my travels and adventures through my simple blog. It was July when I started my Travel Blog focusing on its content and its design. Just this September 2013, I decided to buy my own domain from (easydns.com) EASYDNS TECHNOLOGIES, INC which is www.ilovetansyong.com. Using my paypal account, I bought the domain for discounted amount of $120.00 for 10 years. From then, my statistics was tremendously increasing until now. Undeniably, buying my own domain increases my credibility. My Travel blog looks like more professional. Moreover, the domain helps my brand name by making my blog more recognizable and memorable. Imagine from http://ilovetansyong.blogspot.com to www.ilovetansyong.com, its sound shorter and easy to remember right? Blogger will automatically redirect any traffic from my old subdomain to my new custom domain. However associating a top level domain to your y blog is the only service which Blogger users need to pay for, like me who spent $120.00 .This is due to reason that the domain name will be provided by a third party service which is EASYDNS TECHNOLOGIES, INC , and not from Blogger/Blogspot (or Google) themselves. Overall, I am satisfied with my own domain. It only cost me $12 dollars annually (not bad). In addition, my blog also is mobile-friendly page. You can easily visit my travel blog using your Phones and Tablets. Anytime, anywhere!. The “I Love Tansyong Mobile Platform” is easy to navigate and very responsive, however there are some features that you can’t utilize the most unlike if you are using your PC or Lappy. Hope you will enjoy, this is for you guys.